Bare butts over your church? What would you do? Pastor Neil Rhodes in New York does not like big butts (no, this doesn’t have anything to do with Sir Mix-a-Lot). On July 1st, bathroom fixture manufacturer Toto planned to begin advertising their Washlet bidet-toilet seat via billboards on two sides of the building at 51st Street and Broadway. The ads feature bare butts with smiley faces on them (see pic). The problem however is that this building houses the Times Square Church where Pastor Rhodes ministers. He complained about the booty billboards, and on Monday a judge ordered a temporary restraining order keeping them from going up. What’s more, the Times Square Church had to post a $90,000 bond that will be paid to Toto for damages if it’s found that the church is not entitled to an injunction. To read the full post by Erik of Steve Brown Etc click here. Posted in emerging church, exchanged life, Grace, Steve Brown Etc | Comments Off on I Like Steve Brown. Tony Jones interview on Steve Brown Etc. 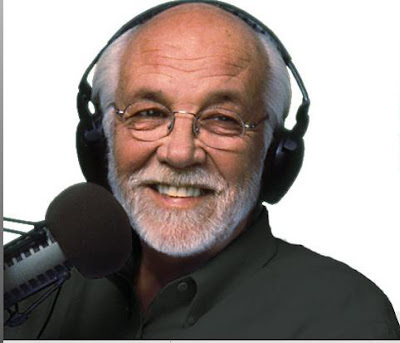 Great show… great interview. Download MP3 Play in Popup or you can listen to his show at 1PM mst on iggyRocks! It has been a few days since I last posted something. Been busy. I had a person quit a work so I am back to working nights and days. Here are a few things going on out there which I have found interesting. Michael Spencer aka as the Internet Monk is a busy man! 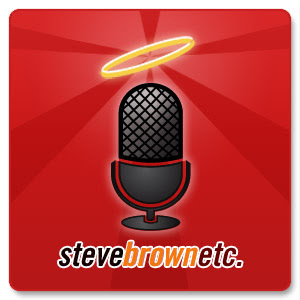 Not only does he teach and do a couple of blogs, but he also does a couple of podcasts and now is joined with The Old White Guy Steve Brown at Steve Brown Etc. Michael Spencer is blogging at that site also as well as doing interviews. Steve Brown Etc has become one of my favorite shows. A recent show featured Mike Meagher. You think you have it tough? Listen to the conditions Mike and his wife CHOSE to live in. OH! and you get three free sins for going there! I hadn’t gone to jordoncooper.com for a while but this one caught my eye… How to download Youtube videos. Tall Skinny Andrew Jones has this rather “cool” visual… just go and look. I am also thinking of moving this blog to WordPress.com…. here is the link. I am running both blogs to see the difference in traffic. Let me know what you think. I never realized that Montana was a “Catholic” state. Joe Martino has a post on this that was rather interesting. Now, I also need some prayer. He have been evicted so that the landlord can renovate the house. He is cool and gave us three months, yet one month has gone by and still no place to move to. He said we could extend the stay if needed, yet we need to just get it done. Also, I have been really struggling with dealing with some people (I confess that I just do not care to get into stupid debates with people who just are out to attack others) I am attempting humor to channel my anger… Let me know what you think…. the link was above. I am also really desiring to go full time into ministry. I need prayer that God supplies our needs. I have a good job, yet it takes so much time and energy out of me… I just want to go deeper into what I see God wanting me to do. Pray that our church grows so that I can go full time as a pastor. Also, iggyROCKS! needs support. I am getting asked by ministers from different countries for help with Grace related materials…. as well as being asked for study Bibles from students in Africa. One box i have been trying send cost me $186 just to send a two pound box. I am asking that you pray that God will not only supply the $400 to keep iggyROCKS! rocking but to also give a surplus that allows us to send these materials to these people. If you even know of a ministry that does already this let me know. Every dollar given goes directly to keeping the station going and these types of ministries. You are currently browsing the archives for the Steve Brown Etc category.